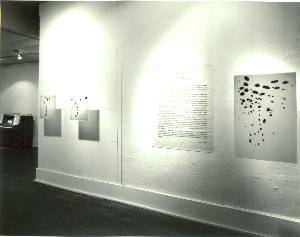 A composer as well as a painter, Marilyn Belford has produced in her show (displayed below) an environment combining music and visual art. 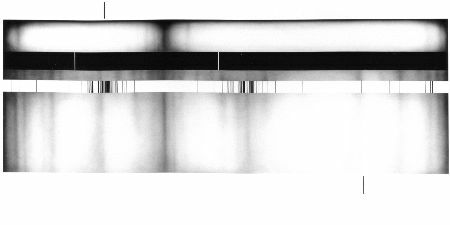 Inspired by the structures set up within the genetic code, she has taken these patterns and has uniquely made them create their own music by transposing them literally onto a player piano roll. 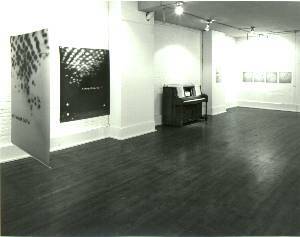 The musical scores are displayed on the walls and consist of the patterns air-brushed onto Mylar film. 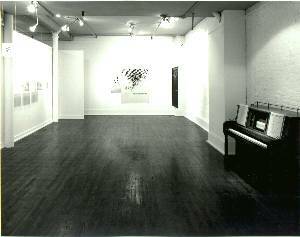 A player piano is at the gallery space for those curious to know what, for example, the replicating activity of E. Coli in the intestines might sound like. 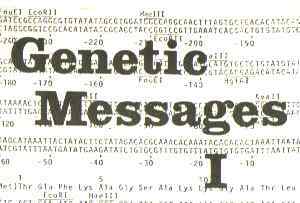 Click Here for Genetic Messages Music. (Note: This file is 1.3 megabytes and runs for approximately 3 minutes. 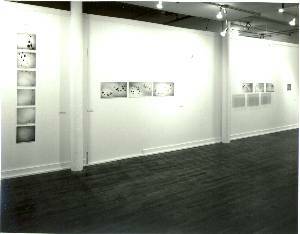 It is only a section of the entire work. The music will open in a new window and you can switch back to this window to continue reading while you listen.) 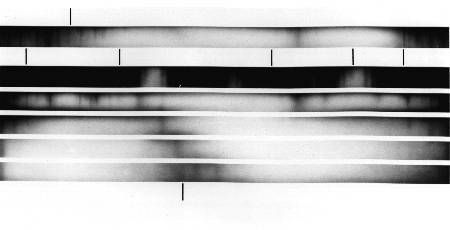 (Temporary alternate WMA file) For the Molecular basis of “Genetic Messages” scroll down to lower half of page. 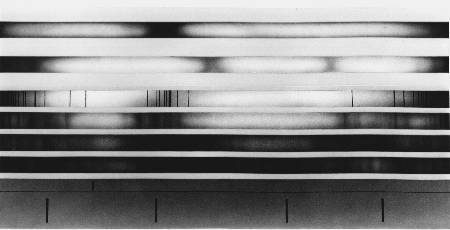 The following paintings are only based on DNA fingerprints. They are not exact replicas of any particular sequence. They are acrylics on canvas and measure 96“ X 48“.